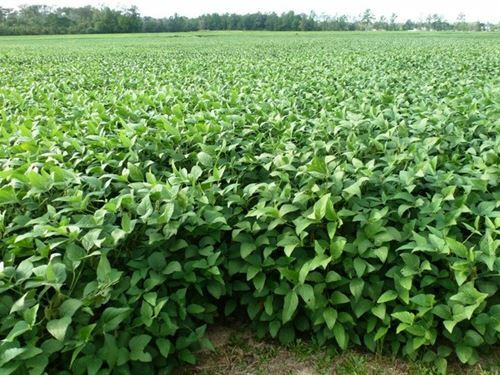 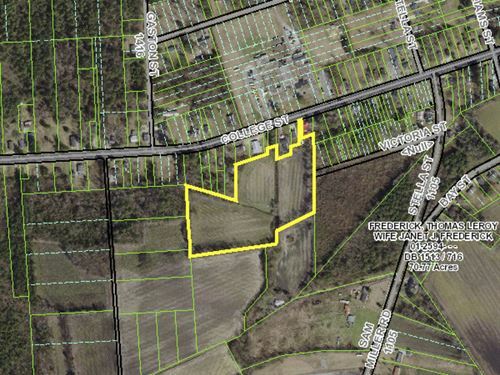 Approximately 29 acres cleared, being farm now, but water and sewer available for development. 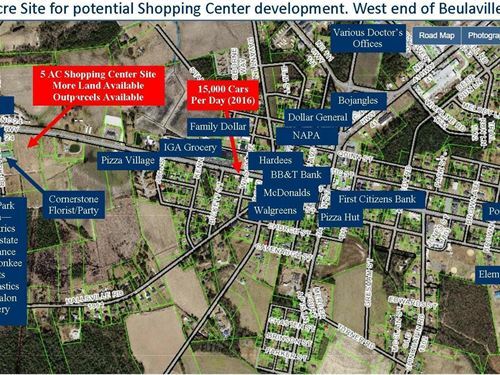 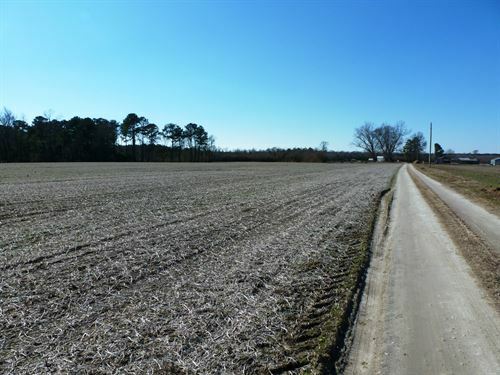 Tract is comprised of two blocks (26.25 acres and 4.05 acres.) 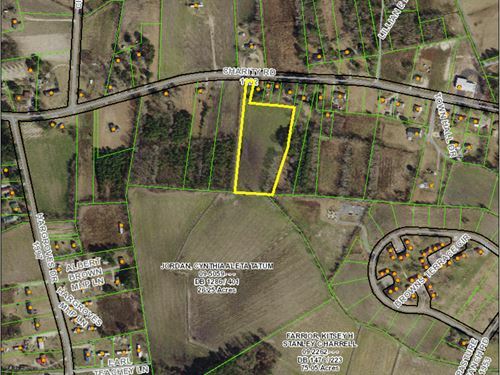 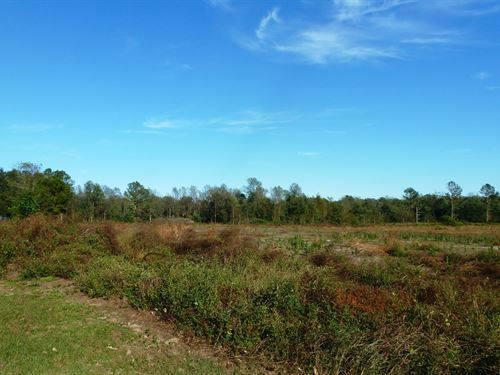 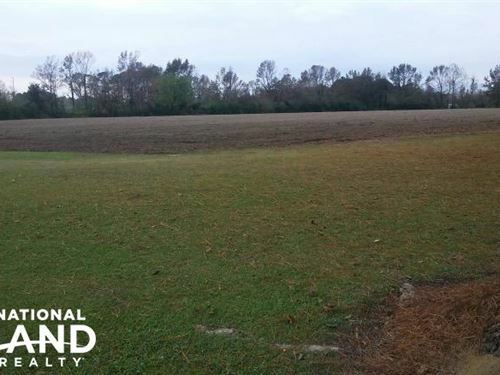 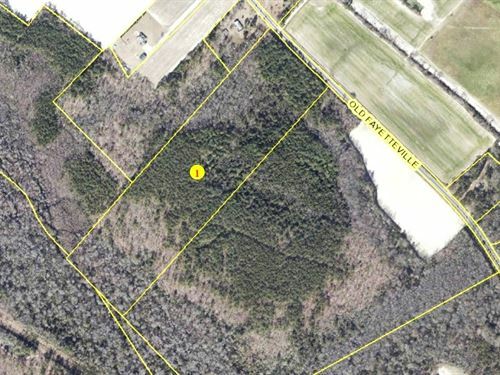 Smaller tract provides 50+/- feet of road frontage for combined 30+/- acres.